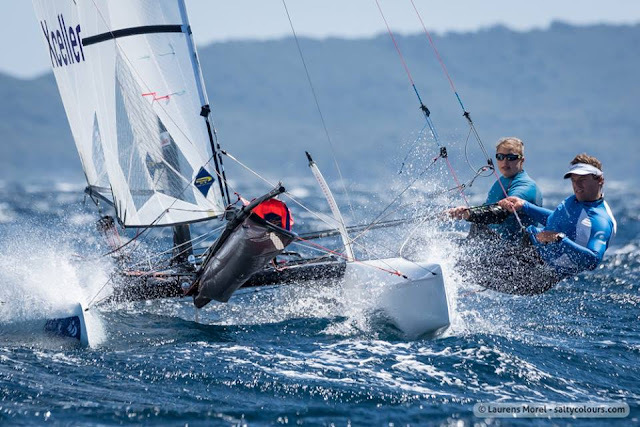 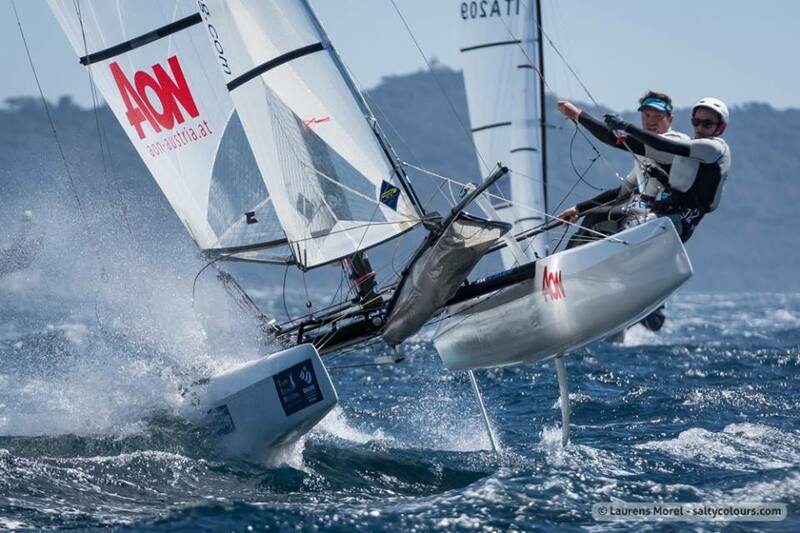 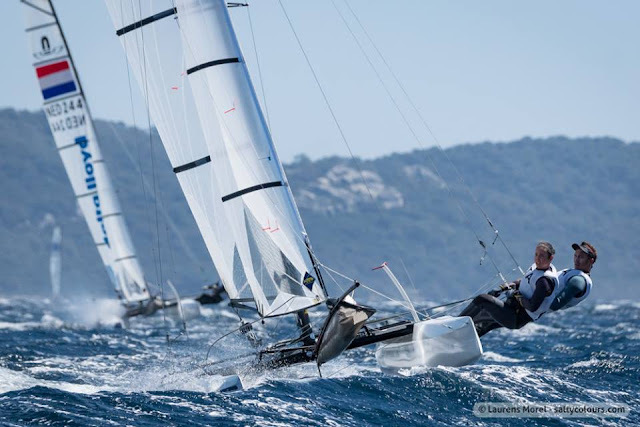 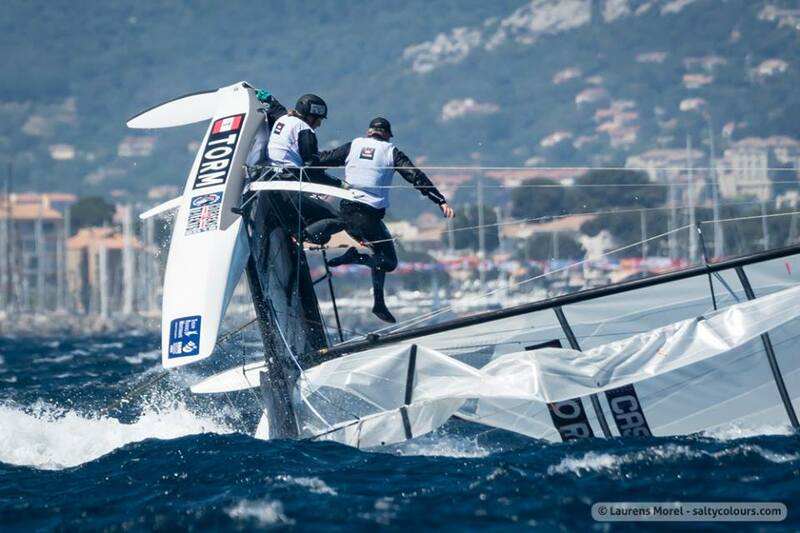 All photos by Laurens Morel / Saltycolours.com - Full Album at Nacra Sailing FB - 27-30knots reported for today. 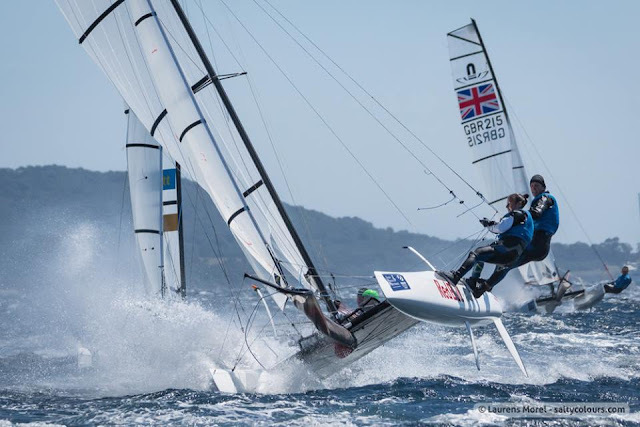 Broken masts and only half fleet finished, With the new foil setup for 2020, and contrary to what many might think, the Nacras 17 might provide better control in these conditions, specially of course on the bareaways and frontal pitchs, due to the added lift of the main foil and the control supplied by the L rudders. 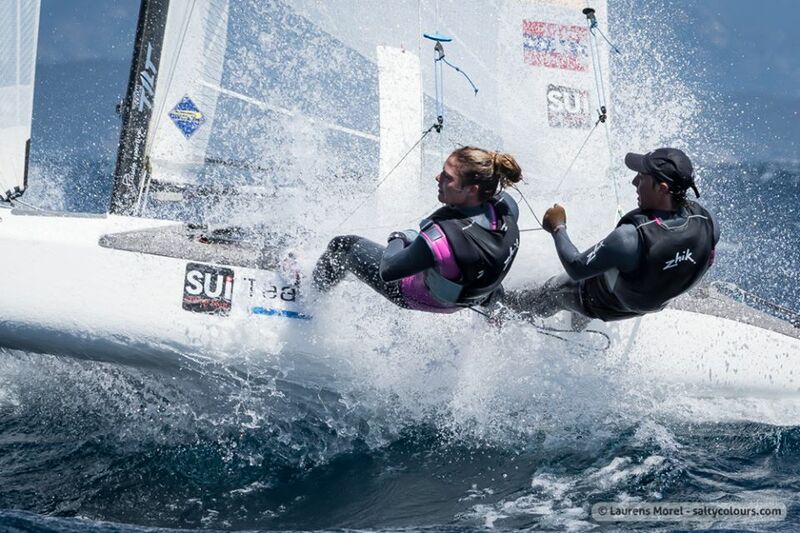 Interesting to see how Moana Vaireux & Manon Audinet, leading after 1 race only continue with campaign, which if supported by their Federation is the way to go. Echavarri & Pacheco , also showing how the Beijing Tornado Gold Medalist has achieved great handling in not much time on the Nacra 17. Spain had two great teams, see Iker foiling in post below, pity they couldn´t define on the water who was going to Rio.